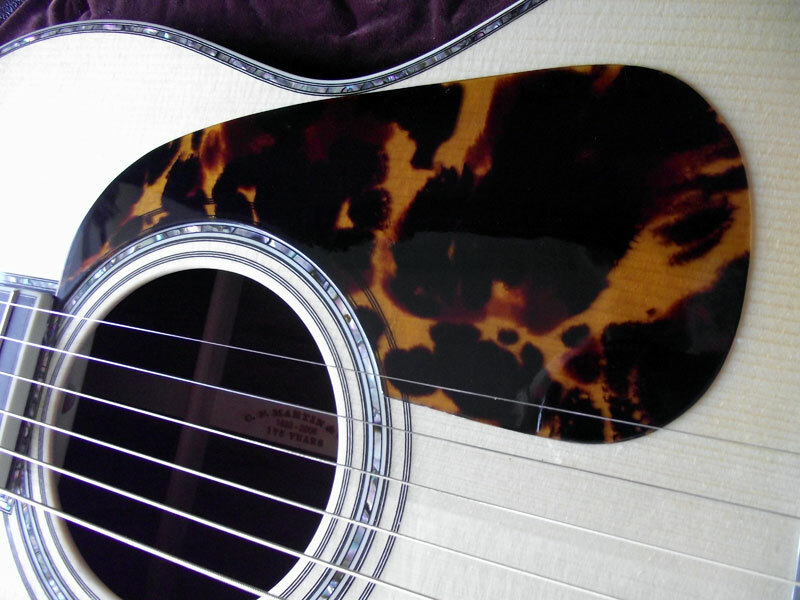 It was my pleasure to make pickguards for two Martin acoustic guitars this week. The pickguards are made from Tortis, invented by John Greven and sold through Luthiers Mercantile. This material makes beautiful pickguards, it polishes to a high gloss and the edges can be rounded for a very organic appearance. I would remove it completely, clean it and the guitar face then reattach using the 3M adhesive sheet from Stewmac. Hi Tim, I use a Stanley knife myself. You need to go over the lines a few times but it will go through. 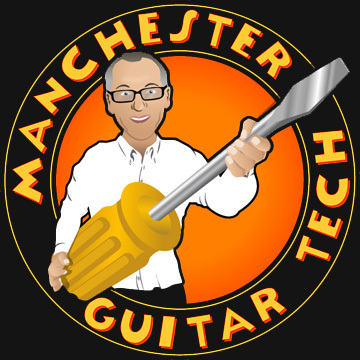 I’ve been thinking though of going to the Fab Lab at Ancoats and using their laser cutter, the problem being that I’d need to make a CAD file for each pickguard. It’s probably easier on balance to use a knife! Steve, rather than order from the States, would you sell a blank of this stuff if you’ve any left? 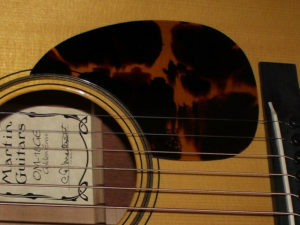 The pickguard on my Gibson acoustic is of the horrible modern ‘pixelated’ type. No bother, do you have any experience with the Stewmac Tortoloid stuff? Looks good and is even thinner than the Tortis. No, but I keep meaning to get some. …..some time since last comment! What have you tried to date….looking for someting nice for a Clapton style sunburst D21 type project!! I did get some of the Stewmac material but not used it yet. I’m thinking of trying to make my own material but finding the time is always an issue! Yes I could do that. Can you send me a tracing?